Bhuta shuddhi Session in Thane! 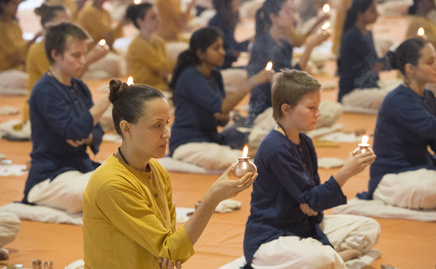 “Bhuta Shuddhi” which means “purification of the elements.” The Bhuta Shuddhi processes provide a unique opportunity for everyone to benefit from this esoteric yogic science, which otherwise requires intense sadhana (spiritual practices). e) No refund policy/ No adjustments. If you have any medical conditions or had any recent surgery, kindly call before registering.